As Orbital ATK’s OA-9E Cygnus mission continues its to-date flawless mission at the ISS, the company is looking ahead toward the commencement of the CRS2 contract flights of Cygnus beginning in 2019 as well as the first flights of an enhanced version of its Antares rocket. Orbital ATK also plans to offer Antares on the commercial market and as part of NASA’s Launch Services II program. With just two flights – not including the in-progress OA-9E mission – left as part of NASA’s extended CRS1 (Commercial Resupply Services 1) contract with Orbital ATK for Cygnus flights to the International Space Station, Orbital ATK is deep into planning for the first two CRS2 contract missions, OA-12 and -13, which are scheduled to launch in late-2019 and the first part of 2020, respectively. “For CRS2, we’ll get a minimum of six missions on that contract,” said Frank DeMauro, Vice President & General Manager, Advanced Programs Division for Orbital ATK, in an exclusive interview with NASASpaceflight’s Chris Gebhardt. “Obviously we hope it’ll be more, but there’s a minimum of six. So far we’ve received authorization to proceed, which essentially starts the schedule clock for each of the missions, on two of the missions — OA-12 and OA-13. 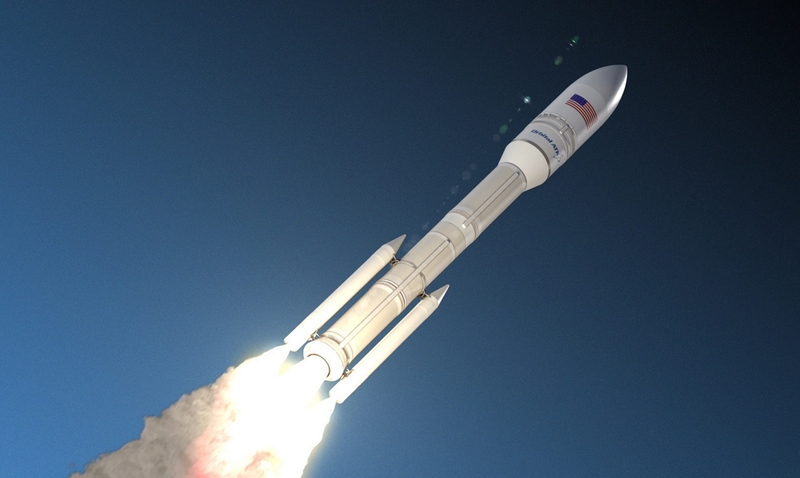 As part of the CRS2 contract award to Orbital ATK, NASA reserved the right to determine which of three Cygnus variants the agency wanted for each mission, with some of those variants having to launch on a United Launch Alliance (ULA) Atlas V rocket for increased performance and cargo upmass to the Station. “For the other three missions [that NASA hasn’t turned on yet], NASA has not determined what they’d like or when they’d like them. Our assumption is that all of those will actually be Antares missions, but NASA could come back and say ‘Well, actually, we’d like one of those higher cargo missions,’ and that would be on an Atlas V.
“Or they could come back and say ‘You know, I’d really like the unpressurized cargo mission,’ and they could turn one of those [missions] on as part of the remaining three,” noted Mr. DeMauro. The option also exists for NASA to extend the CRS2 contract with Orbital ATK, thereby ordering up more than the currently contracted six missions with the company. Part of the upgrade Orbital ATK is offering NASA as part of the CRS2 contract doesn’t just relate to three variants of the Cygnus craft but also to the Antares rocket itself, specifically to how cargo is stowed in Cygnus prior to lift off. “For CRS2, we’re actually modifying the way and location where we’re going to do the final cargo load,” related Mr. DeMauro. 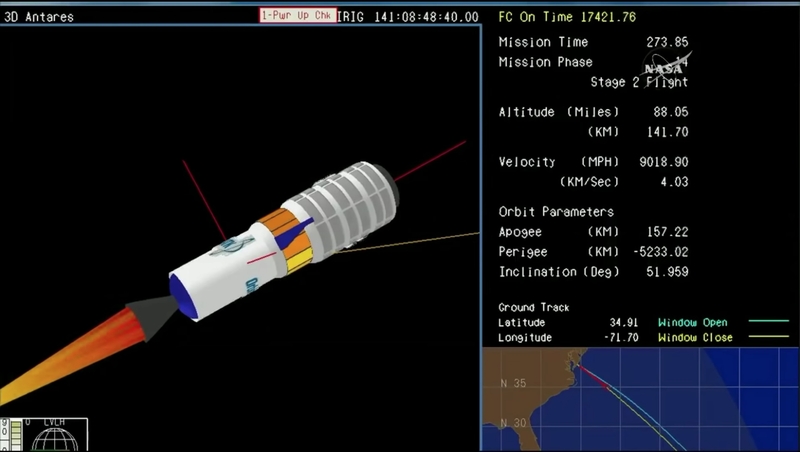 “Right now, we do the final cargo load in the HIF (Horizontal Integration Facility) prior to encapsulation about three or so days before launch. “But starting on OA-11, which is actually the final flight of the CRS1 contract, the Antares team is making modifications to the top of the fairing so we can actually pop off part of the fairing to give the team access to the cargo module. So we can open the hatch, through that popped fairing top, load the late-load cargo, close up the hatch, and then re-install the top cone of the fairing. “And we’ll do that out by the pad. So the time from when we actually load that late cargo, close the hatch, do the final checks, put the fairing top back on, and then roll the rest of the way to the pad will be a much shorter time frame. Our plan is to be able to load that cargo and launch within 24 hours,” concluded Mr. DeMauro. The Cygnus team isn’t the only division within Orbital ATK looking ahead to the CRS2 contract flights to the International Space Station. The Flight Vehicle Division is also working through anticipated upgrades to the Antares rocket that will allow for greater cargo upmass and performance from the rocket as well. 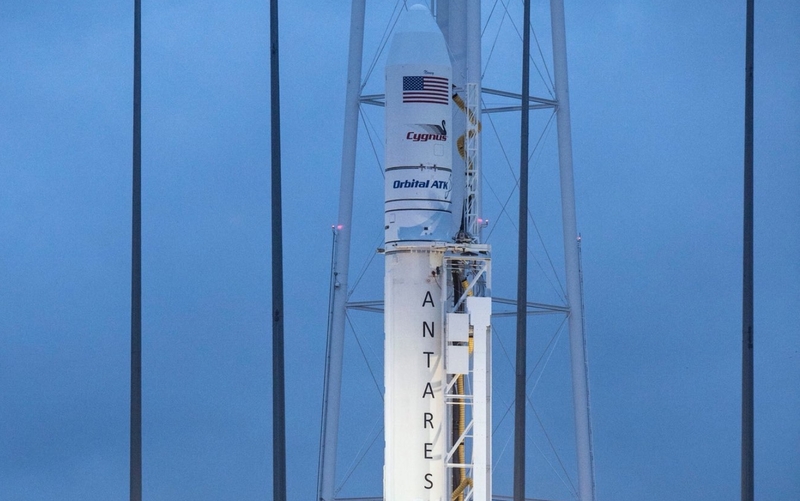 “The CRS1 contract has a certain level of cargo delivery, and in CRS2 we crank that up significantly,” noted Kurt Eberly, Vice President and Antares Program Manager for Orbital ATK, related in the same interview with Chris Gebhardt. “So our part of that on Antares is to lift more mass into orbit. And there’s a number of upgrades that we’ve implemented up and down the vehicle.” The upgrades will not, as previously thought, be referred to as Antares 300 but instead as an upgrade to the currently flying Antares 230 variant. To this end, the upgraded Antares will be referred to as Antares 230+. “On the first stage [of Antares 230+], the most significant upgrade is that we’re going to add some structural capability to the intertank bay, which is between the LO2 (Liquid Oxygen) and RP-1 (rocket-grade kerosene) tanks, and the forward bay forward of the LO2 tank,” noted Mr. Eberly. By reinforcing these structures, Mr. Eberly related that the rocket can take more bending loads through first stage flight – allowing Antares 230+ to maintain full 100% engine throttles as it passes through Max-Q, the moment of maximum mechanical stress on the vehicle. Almost all other rockets have to throttle back their engines in preparation for Max-Q to reduce the stresses on the vehicle and ensure flight integrity is maintained. But this throttle back translates to a performance hit against the total cargo upmass those rockets can carry. That removal of mass from the second stage directly translates to an increase in payload upmass. On top of those improvements, Mr. Eberly noted that the team is also working on trajectory improvements with a load release autopilot that allows them to “steer into the wind” and be a little bit more aggressive – all of which together give Antares 230+ and the CRS2 contract flights increased mass to orbit capability. 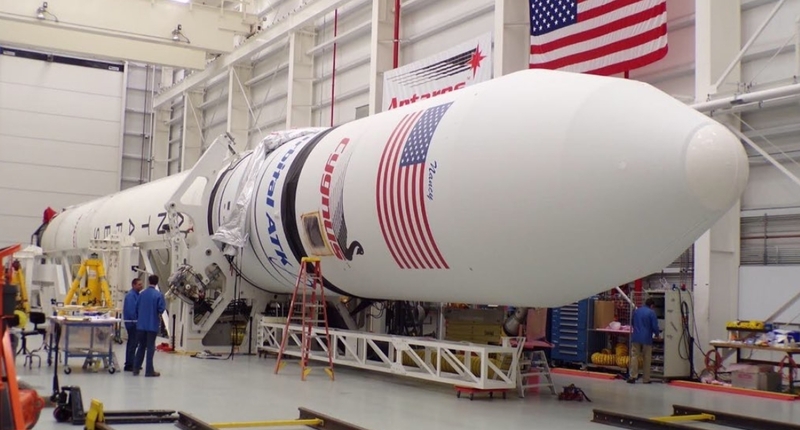 While Antares has thus far only exclusively launched Cygnus crafts to the International Space Station, Orbital ATK will offer the vehicle on the commercial market and notes that Antares has been on-ramp is part of NASA’s Launch Services II contract. “We’re on-ramped to the NASA Launch Services II contract, and that basically puts us on an approved bidders list and enables us to bid on launches that NASA has in the future. And so we are planning to look at opportunities that may come along and bid on them,” noted Mr. Eberly. Moreover, Orbital ATK sees no overlap or competition between the types of missions suited for Antares and those for the upcoming OmegA rocket. “OmegA is an EELV-class rocket, an intermediate to heavy lift vehicle. 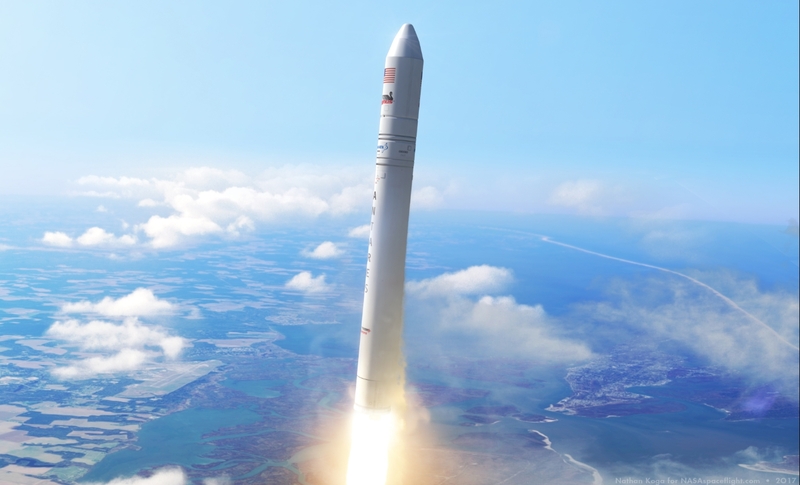 It’s for an Air Force customer, and while they are looking to enter the commercial market as well and NASA civil certainly, primarily OmegA is an EELV-sized and classed rocket,” said Mr. Eberly.